With the best-in-class display, configuration and features, this Apple MacBook Pro 13 inch come with a 1-year warranty along with the free technical support. This version is much faster than the previous ones. Also, it is aimed at providing the customers with something that you can use as a powerful mobile workstation rather than a general purpose work laptop. The inbuilt Apple’ True Tone software automatically adjust the screen color temperature to fit it with the ambient light of the surroundings. Siri – A voice-activated assistant will help you to make your work faster without touching more keys. 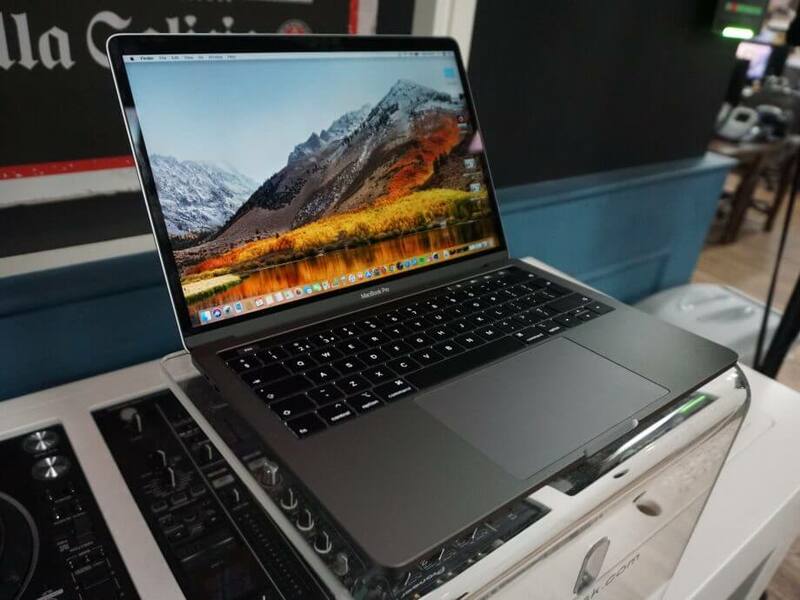 This machine proves that it is really built for professionals like photographers and videographers who are looking to have more storage in MacBook. We live in a world where computers are used in every field. 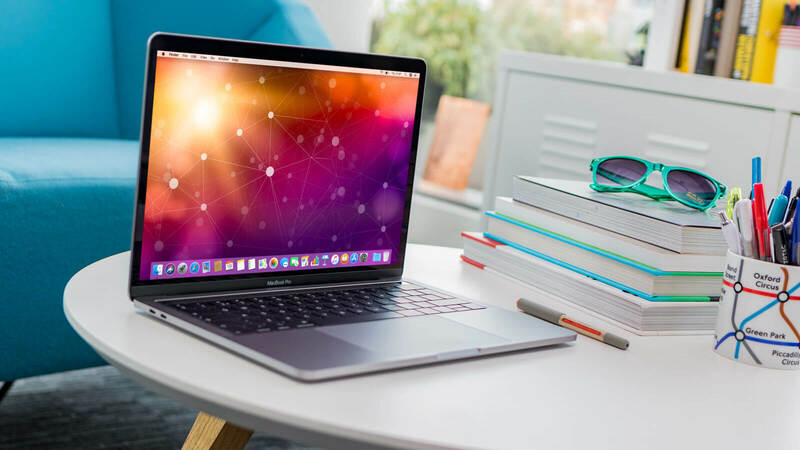 Though there are plenty of laptops available in the market and competing with each other with the latest processors and designs, Apple laptops are well-known for their outstanding design, top-notch software, and incredible in-built features. And, Apple MacBook is one of the know devices that are fully packed with all necessary components and great features. These MacBooks come in different models with different configurations. In the year 2018, there is an incremental upgrade to the Apple laptops, specially designed to aim at professional photographs and video editors. Apple has made consumer’s eyes to set on the latest MacBook Pro 13 inch. It welcomes the audience with incredible features and components and is one of the most recommended options because of its portability and affordable price. It is a perfect blend of work and music. When it comes to performing high-end creative work in minimal time, then the Apple MacBook Pro 13 inch is an ideal purchase. The fastest SSD and new added feature – True Tone makes it the most versatile MacBook. Really, the price doesn’t matter if you truly need the speed. 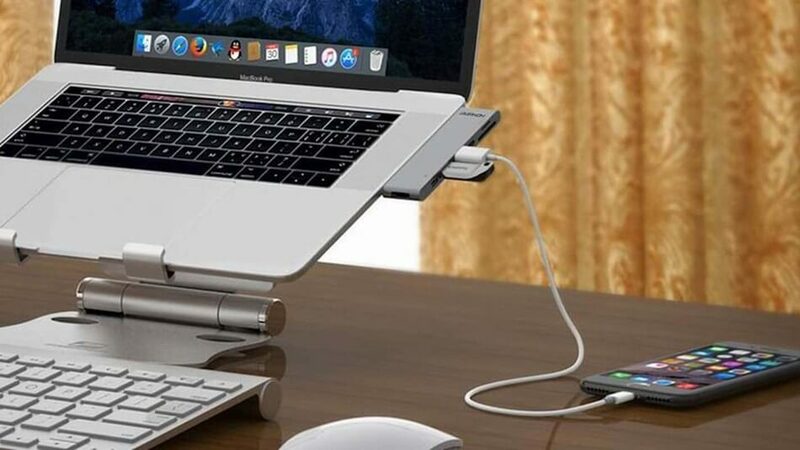 Overall, it is an incredible invention for those users who are waiting for a highly-efficient laptop for a long time. Before you plan to buy this Apple MacBook Pro 13 Inch, let’s discuss its pros and cons. This 2018 Apple MacBook Pro model is ultimately a stylish and the most powerful laptop that ensures your work performance does not drop. Although there are a few issues addressed by the buyers, the overall investment in this model is worthwhile. Its improved specifications as compared to its previous model make it more demanding these days. For those, who always need to perform multiple tasks at the same time this Apple MacBook Pro 13-inch is the best option. It has the fastest SSD ever due to which it has high speed. If you are looking forward to buying the Apple MacBook Pro 13-Inch, then it can turn out to be the best option. It is ideal for those who are seeking a device that can handle all your daily routine tasks efficiently at a great speed. However, before you go ahead, you should know about its specifications and is it worth to buy 13-inch MacBook Pro. In this guide, we are going to give Apple MacBook Pro 13-inch review. The demand for Apple MacBook Pro 13-inch is increasing day by day because of its high speed and affordable price. The starting price of this MacBook model is $1,799. In this price, one gets the 256GB SSD, 8GB of RAM, a quad-core 8th gen Core i5 processor. If you want more storage space with the same configuration, then you can get it at $1999 with 512GB SSD. And if you are not satisfied with the i5 processor and want to include a Core i7 Processor with 16GB RAM and 512GB SSD, then it will cost you $2,499. Remember that upgrading your processor will cost only $300, and the rest cost is of doubling the RAM and SSD Storage space. All these powerful features make it price worth. Moreover, it offers you an option to choose your configuration as per your needs and budget. Apple MacBook Pro 13-inch is somehow seemed to be identical to previous models in terms of size and weight. The whole body is made from a fetching metal alloy and finishing done to this model really sets buyers’ eyes on it. This MacBook with anti-glare technology has a 13.3-inch display panel which is packed with 2560*1600p screen resolution. Moreover, it is a super faster laptop and the keyword quality is also improved. On the positive side, it has a quieter keyboard flanked with two speaker grills and a spacious touchpad. It also includes a Touch ID Fingerprint sensor that can be used while making your transactions with Apple Pay. Its aluminum design gives it a solid look, and the Touch ID button makes you easily log in with a touch of your finger. Its speakers sound rich and full with no distortion even at high volume. The new option to see on this model is the inclusion of a new feature that is True Tone. When this feature is on, it makes it easier for your eyes to look at the screen without putting much strain. Some professionals who work with images and require highly accurate color accuracy, they may not like this feature, but they can turn it off. The overall model measures 212.44 x 304 x 14.99mm and weighs only 1.37kg. Due to this, it does not occupy much space and easily fit in the bag. From controlling music to scrubbing through images and launching any favorite site in Safari, you can do it all with the mini touchscreen (2170 x 60 pixels) available above the keyboard. It is the amazing feature that Apple has launched which make you feel like WOW!! With the MacOS High Sierra Update, the performance of the Apple MacBook Pro 13-inch is incredibly enhanced. The updated processors are promised to deliver better performance and energy efficiency to its users. One of the amazing things to see in this MacBook Pro is that it allows users to perform multiple tasks without any hassle. It is all due to the addition of the fastest SSD which took less time to complete the tasks. For sure, both the photographers and videographers have no need to compromise with the speed and storage while working on this laptop. On the basis of an overall performance test, this MacBook has stood out ahead of the competition and is the fastest laptop ever seen before. Overall, Apple MacBook Pro 13-inch is a useful investment in terms of real-world performance. Apple MacBook Pro 13-inch comes with a great improvement in terms of ports. There are 4x Thunderbolt 3 input ports which are known for their high speed. From the last models, this is an amazing upgrade. Among these, 2 Thunderbolt 3 ports are situated on the right side of the device constrained by limited bandwidth. One of the major benefits of having four Thunderbolt 3 ports on a MacBook Pro is that one can use them virtually for any purpose, even for the battery recharging. As all these ports have the same bandwidth capabilities, the 13-inch MacBook Pro truly realizes the potential of these ports. 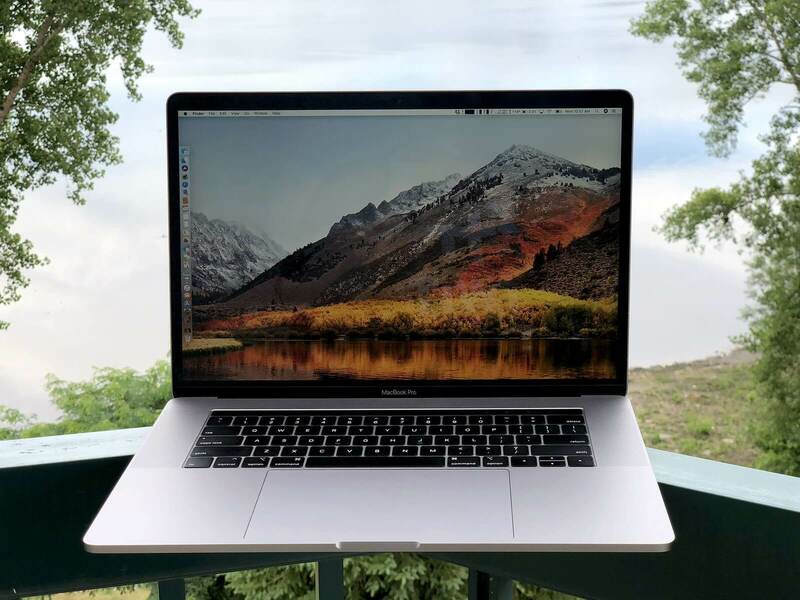 Apple MacBook Pro 13-inch offers an average battery life as compared to other systems in this price range; it does not last long which is one of its big disadvantages. It is tested that this MacBook Pro can last up to 8 hours and 43 minutes whereas laptops like Dell XPS 13 lasts up to 12 hours. Though it consists of the fastest SSD card and improved keyboard, its battery life could be better. The technology used in Apple MacBook Pro 13-inch is maxed out with a 2.7GHz Intel Core i7-8559U, Intel Iris Plus 655 graphics, 2TB of SSD storage and 16GB of LPDDR3 RAM. The cheapest model of MacBook Pros is featured with a 2.4GHz, 8th generation Intel Core i5 CPU, Iris plus 655 graphics, 8GB of RAM and 256GB of storage. There are also most of the models with dual-core, 7th generation Intel Core i5 and i7 processors and with just two Thunderbolt 3 ports. Thankfully, the 13-inch MacBook Pro delivers the MacBook lovers a significant boost in performance by performing multiple tasks at higher speed. With super core processors and fastest SSD speeds, it is truly a great laptop. For the buyers who want to invest well in high-performance MacBook, then it is the best example of all. The performance enhancements make it a winner. All in all, it is an actual pro in the market as it greatly competes with so many previous Apple models. Asus VivoBook F510UA review – Is it worth all the hype?